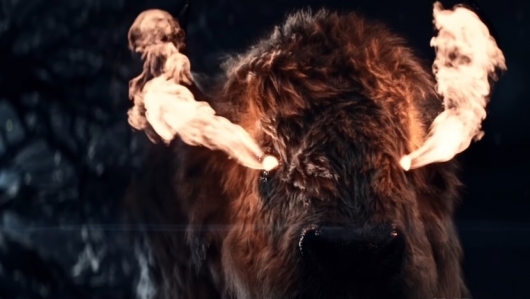 It’s been nearly one year already since season one of American Gods came to a close. Since that debut season, however, things have not gone quite as expected. In November it was announced that showrunners Bryan Fuller and Michael Green had both decided to depart the series. Alias, Heroes, and Star Trek: Discovery writer Jesse Alexander has since taken over as showrunner. But as they say, the show must go on. And go on it has, albeit a little bit slower than most have hoped. Production on the new season began last month, and now Starz has released a video from the set which also reveals when fans can expect to see the next season. Continue below to check out the video. In addition to the Starz video, Neil Gaiman also shared an image from the set of himself and the cast at the House on the Rock. Just the fact that, despite some speedbumps, a second season is still happening and is currently in production is great news. But there is a bit of bad news to swallow as well, sadly. If you’re one of those poor unfortunate souls who was thinking “I can’t believe I have to wait until 2019 for new seasons of Game of Thrones and Rick and Morty (if not longer), but at least there will be new American Gods this year,” well…yeah, that’s not happening either. The new season is in the making as you read this now, and it will premiere sometime in 2019. But hey, 2019 looks like it’s going to be totally boss. Or maybe lit. Or dope. Or swell. Whatever the kids are saying these days. It’s totally gonna be that.